The winners were Vivian Condran, Mary Cooke, Bernadette Beaver and Carolyn McKnight. The runners-up were Ann Marie Siteman, Heather Salmon, Sue Ellen Horne and Joan Thomas. 3rd place was Brenda Reesor, Diane Anderson, Cleo Critchlow and Donna Tipert. 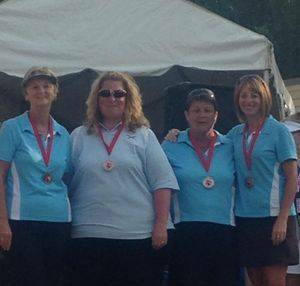 4th place was Verna Murray, Ann MacDonald, Vicki Balcom and Val Robar.